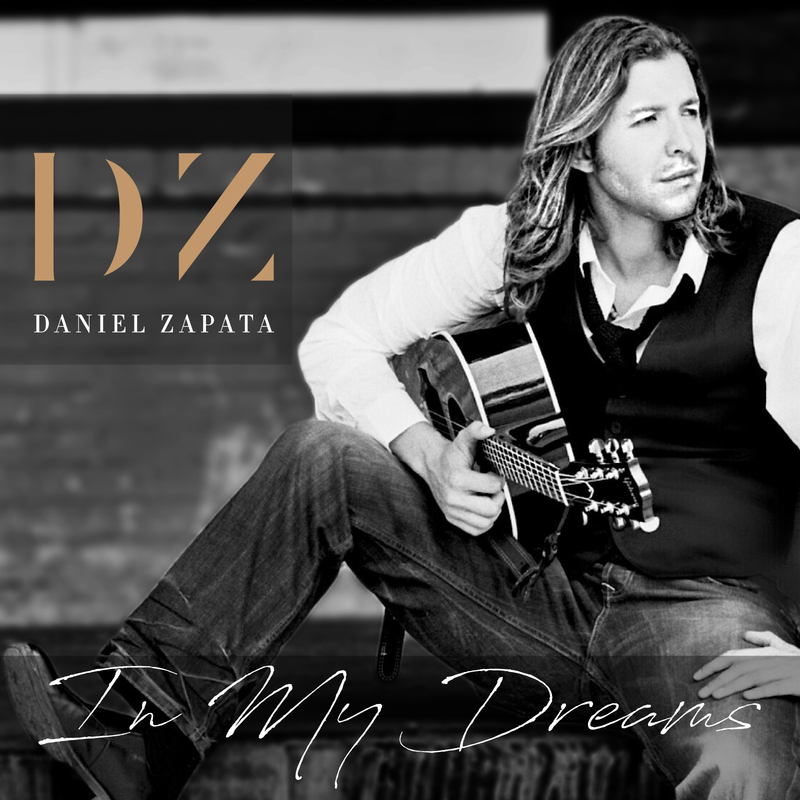 In My Dreams is a song born of pure inspiration, the kind you feel when you are young and full of passion and energy. I was spending a vacation in Cartagena, and Cartagena is a place where you can see the most beautiful people from all of Colombia come together, between the 22 of December to the 10th of January almost every year, there are many cool parties and the vibe is just amazing. That year I had rented an apartment for several friends and we all went to hang out and have fun. I had never considered the Idea of being a serious artist at that point, I was studying Mechanical Engineering, training Kung Fu and partying whenever I had the chance and although I played guitar and liked singing for friends I had only written an original song, maybe two and with no knowledge about how much music would become a key component in my life, and the album “In My Dreams” a reality, I would make songs just out of what I could hear in my head. I was pretty happy with things but you know how it goes, life has unexpected turns. My sister had pasted away two years before that and let me tell you, my sister was the best person I have met, she was smart, witty, clever and spiritual may she rest in peace, we were always best friends and my love for her was true and unconditional as was hers towards me. One of the cool perks of having an awesome sister was that she would always hang out with the cutest girl friends, and to my advantage I would flirt with the ones I liked, what can I say…, but there was one of her girl friends who I was absolutely fascinated with, and that vacation she happened to be in Cartagena. People from Medellin would tend to meet up at the same places so whenever we went out I would see this girl and as always when you like a girl a lot, you tend to blabber the wrong things and that was exactly what happened with me. So in my immature inexpert level of dealing with girls I like, I decided to just stupidly ignore her when she was around, and days past by. <center/p>Then came New Years and well, the beautiful contradiction of hoping to find this girl at the same party just to ignore her hahaha, -kidding-, Inside I was ready to lay it all out, but we went to the party where everyone was supposed to be and there was no sign of her, so I got tipsy anyway or drunk, and had fun, and when some time past my friends said , lets go to the bay to se the fire works, I didn’t care that much so we left and when I was arriving at the bay who was walking towards me… exactly, and she was going to the place I just came from and I was arriving where she was. But at that moment she looked at me and gave me a sincere embrace, a “happy new year”, she understood the pain I felt for loosing my sister and told me she cared a lot for me, and I told her the same, we looked at each other and I could only think I could stay there forever, but It was a hello and a goodbye, but that ethereal moment had the power to bring to my mind, the music, the inspiration, the song that is today called “In My dreams” and the beginning of my path as a singer songwriter. “In My Dreams” was one of the first songs I have ever written, It has nothing that -after being more than 15 years in the music industry- a normal commercial song should have, the repetitive verses, the hooks in the Chorus, none of those elements will be heard in “In my dreams” it’s a long song with many articulations, and the original version lasted almost 5 minutes but we cut it up at the studio to make it more digestible, to 4 in times when most producers like songs shorter than 4 minutes, etc. If I were judging by standards the song would not be picked by me as a producer in the cold “Catchy” definition of what radio programmers and label executives are looking for. My choice to have “In My Dreams “ as part f my album and as the main theme for it is because the song represents to me more than just a commercial song, It represents true inspiration, it represents the beginning of a lifetime choice, to allow myself to channel feelings and moments from life into notes, metaphors and phrases, my choice to be a singer songwriter. “In My Dreams” represents love that has never received anything in the physical world in exchange, only something intangible, that can and will never die, it represents true restriction from having what we desire and leaving it in something that will live on for the world, even after I am no longer in it, So many other things make “In My Dreams” a song worth having in my album, that all the musical and commercial standards didn’t matter, to the point where “In my dreams” became just one of the parts of a story, that is told thru all the songs of the album. That’s why when you read each song title from the album it goes: “Everyday in my dreams your touch is my reason, and if in summer nights I miss you I’ll use the formula that can make a night last forever because your love is gone. Tonight, if things go well, I want to try to see when you’re smiling in my dreams”. “In my dreams” is the second song because my story begins with Everyday, “Everyday” is a song to the day to day Love, parents with children, husbands with wives, Spiritual people with their source of connection, and although we have all those things my character moves on to “in My Dreams” the platonic love, the Ideal, the person you wish for. When we first began producing in my dreams it had a jazzy guitar in the intro, and a very Eros Ramazzoti vibe, but my love for American Pop Rock made me incorporate a Rob Thomas kind of sound to it and the producer Iker Gastaminza played a beautiful piano arrangement that made it a song that today, after many years after “The incident” I am happy to have written. And believe me the song was written in the year 2000 but its final production only came until 2014, so when you think writing a song and getting it finished is an easy process, believe me it is not. I hope you liked this short tale and that it inspires you to write, to create, to persevere and to follow your dreams, to never take the small moments in life for granted no matter how short, energy is not measured only in time, and as a friend of mine would say , the only thing that can happen if you follow your dreams is that they come true and you’ll have fun twice. I wish you all the best !